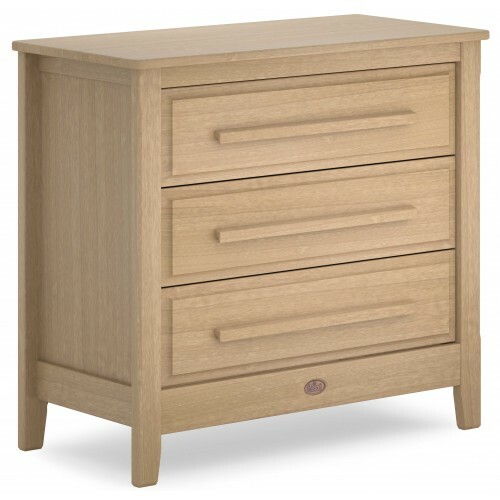 Simple yet stylish, the Boori Linear 3 Drawer Chest perfectly complements many Boori collections on offer. It has 3 spacious storage drawers and the frame is built from natural sustainable materials that are good for your home and the planet. Crafted with a solid wood frame and dovetail jointed drawers, our new Smart Assembly furniture features the same premium quality that sets Boori apart from the rest. We've done away with fiddly tools and have instead replaced them with innovative technologies so that building your little one's nursery can be a memory to treasure for years to come. This product utilises innovative technologies, making it easy to build without the use of fiddly tools.